The Massachusetts Department of Public Utilities issued an order on Feb. 1 clarifying ownership of capacity and energy rights of facilities under net metering and Solar Massachusetts Renewable Target, or SMART, programs participating in the ISO New England Inc.’s forward capacity market. The order allows owners of storage-paired facilities to retain their energy or capacity rights to bid into the New England market. The agency directs electric distribution companies to assume title to the capacity rights of Class II and III net-metered facilities and SMART facilities receiving alternative on-bill credits, and monetize their capacities under two options – retain 20 percent of the proceeds or credit 100 percent of the proceeds to ratepayers. The order provides a buyout option allowing for behind-the-meter solar and front-of-the-meter solar-paired storage facilities to make a one-time, up-front purchase of the capacity associated with their facilities. Net metering allows customers to receive credits for excess electricity that their facilities generate. The SMART program, unveiled in 2017, is a 1,600 MW AC declining-block program, which includes a tariff-based compensation for solar projects. 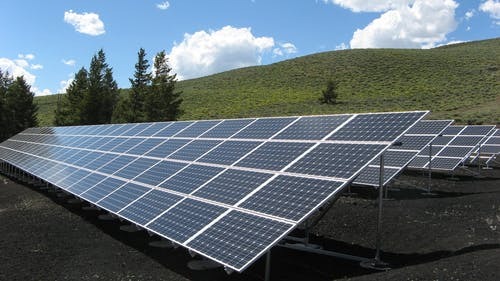 Compensation for energy can be provided via three methods – net metering tariff, qualifying facility tariffs, and a new alternative on-bill crediting mechanism or SMART tariff. The department said it has already established that small hydro projects do not belong to not Class I, Class II, or Class III net metering facilities. Recognizing that these facilities are distinct and in keeping with the legislature’s intent to provide incentives to support facility owner’s ability maintain operations, the department finds the host customers will hold title to their capacity rights, while the distribution companies will retain title to their energy rights, using the revenue to offset the net metering recovery surcharge. The order directs each distribution company to revise its net metering and SMART tariffs to reflect the requirements for qualification and participation in the capacity market. Unitil Corp, National Grid plc, and Eversource Energy must submit revised model tariffs within 10 days of the order.